Home » Galleries » Picture This: Amazing Animals » Behind the Scenes. I was shooting early morning and a pod of dolphins were nearby. 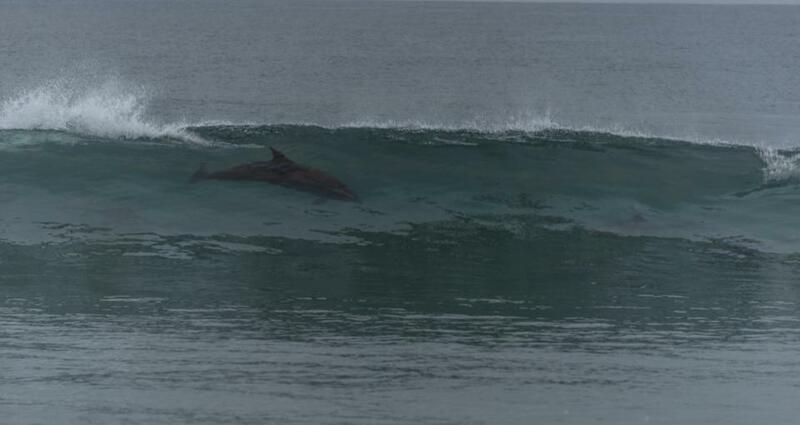 A set of waves started to come in and a group of the dolphins broke off and started riding the waves. Over and over again they were jumping and frolicking like kids on a playground. And when the set was gone they calmly returned to the pod and continued with the search for food.